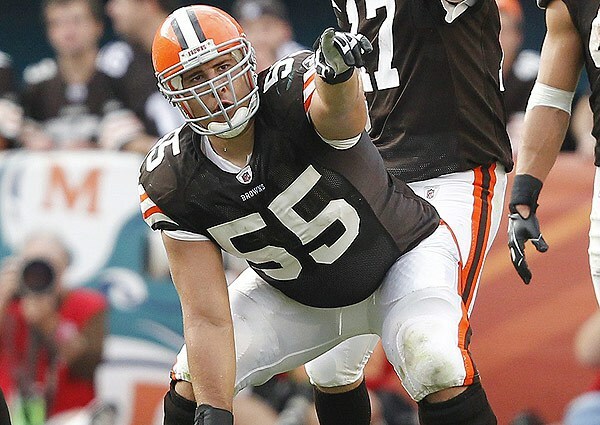 Are the Browns going to lose their Alex Mack gamble? Ever since early in the 2013 NFL season when the news came out that Alex Mack was not going to negotiate a new contract with the Cleveland Browns until after the season, we’ve been on the side of not worrying about anything until their is something to worry about. Well, we may now have something to worry about. The news came out today that Jacksonville will sign Mack to an offer sheet on Friday, one that will be for five years and is reportedly “designed to make it as difficult as possible for the Browns to match” the offer. Of course, the source for that is most likely either someone from Jacksonville or Mack’s agent, so we’re not sure how much weight, it any, to put into that part of the story. The Browns took a calculated gamble on March 3 when they placed the transition tag, rather than a franchise tag on Mack. Rather than basically negotiate against themselves in trying to determine Mack’s value, they essentially told him to look for another deal, allowing the market to set his price and knowing all along that they had the right and, most importantly the cash to match any offer. The downside to that, of course, is it allowed Mack to talk to other teams in the hopes of finding a deal like the one that Jacksonville is willing to offer. Because they used the transition tag, the Browns will receive no compensation if they let Mack leave for Florida. Which puts a lot of pressure on general manager Ray Farmer to match the offer, no matter what. After all, letting an All Pro in the prime of his career walk away for nothing is not the best way to start your first off-season in charge of an NFL club. It will be interesting to see the details of Jacksonville’s offer once it becomes public. The Jaguars have about $25 million in available cap space, so they can certainly splash the cash on Mack. But the Browns have about $31 million of their own cap space, so the money is there for them to beat any offer. We’re not really sure how they can construct a deal that the Browns would be unable to match, but that is where Mack’s agent, Marvin Demoff, earns his money. One way, which we’ve seen reported, is to structure the deal in such a way that the guaranteed money in the first two years would be so overwhelming that the Browns would simply be unwilling to make that kind of commitment. But if a contract like that would hamper the Browns, why wouldn’t it do the same to the Jaguars? No matter what eventually happens, if Mack signs that offer sheet he is guaranteed to be making a lot of money over the next few years. The only question now, is, where he will actually be cashing those checks. The NFL released the preseason schedule on Wednesday and, in addition to the annual Great Lakes Classic with Detroit that packs in the fans, the Browns will have a Monday night game on Aug. 18 against Washington that will be nationally televised by ESPN. The last time the Browns had the “honor” of playing a preseason game on national television was in 2008, when the team was coming off a 10-6 season and expected to challenge for the playoffs. That night the Giants ran out to a 30-3 lead early in the second quarter thanks to 98 yards in penalties by the Browns and a 95-yard touchdown on a fumble return by the Giants. Oh, and Browns quarterback Derek Anderson left the game with a concussion, which was probably the high point of his season. The Browns never recovered from that night and went on to finish 4-12 on the season, which led to Romeo Crennel being fired as coach, which led to Eric Mangini, Pat Shurmur, Rob Chudzinski and now Pettine. Nice job by the Cleveland Indians in taking the three-game series from San Diego. While it would have been nice to see the Tribe take the sweep by winning the second game of today’s doubleheader, a series win is still a good outcome, especially after losing two-of-three to Minnesota over the weekend. The best part of the day was the starting pitching, as Zach McAllister shut out the Padres over 7.2 innings in the first game, giving up just five hits and striking out seven. 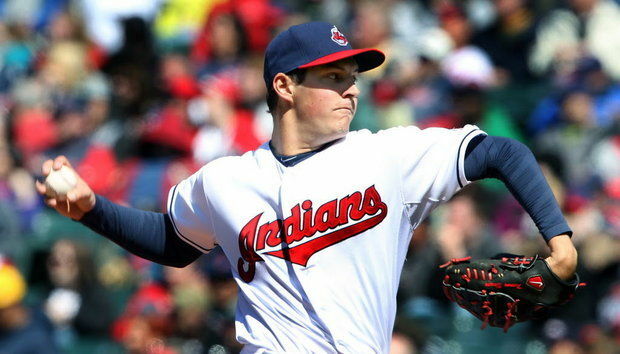 Trevor Bauer was almost as good in the second game, giving up just two runs (only one earned) in six innings of work. He struck out eight and allowed just four hits. The Tribe couldn’t get any offense going, however, and fell short of the sweep with the 2-1 loss. Even though they took the series, the Tribe continues to struggle offensively. Against San Diego, they were just 4-19 with runners in scoring position, making them 17-of-87 (a .195 average) on the season. While Bauer’s was probably making a spot start on Wednesday because of the double header, he certainly looked better than No. 5 starter Carlos Carrasco did in his first start of the season on Saturday against Minnesota. Carrasco is out of minor-league options, so he probably is in Cleveland for a while; but you can’t help but wonder how soon it will be before we see Bauer back with the Tribe. The Indians are now off to Chicago for a four-game series with the White Sox.